We love making artisan bathrooms! With a huge collection of above 1000 water tanks, Sydney Tanks is fully capable of offering top quality underground water tanks, above ground rainwater tanks, water & drainage pumps etc. to their loyal clients in Sydney. These products are available at an economical price. At Sydney Tanks, we fully understand that functional and affordable water storage systems are absolutely necessary for everyone. Keeping this fact in mind, we offer our customers the best possible water storage products for fulfilling their distinct requirements. Rainwater Tanks Direct of Australia is the most trusted name when only the best rainwater storage solutions will suffice. We are the only company with the widest array of high-quality water tanks for sale. 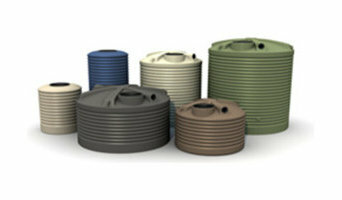 Our collection includes rounded tanks, slimline tanks, underdeck, and underground tanks. They come in poly, metal, and concrete, and are available in storage capacities ranging from hundreds to several thousand litres of water. Water pumps are also available for purchase so that you can use the saved water without any hassles. Kelair Pumps has an extensive range of both positive displacement pumps and centrifugal pumps for applications across all industries such as mining-mineral, oil-gas, chemical, pharmaceutical, paint, power and water-wastewater. Our range of positive displacement pumps includes diaphragm pumps, air operated diaphragm pumps, gear pumps, peristaltic pumps, screw pumps, progressive cavity pumps, vane pumps and lobe pumps. Our range of centrifugal pumps includes water pumps, magnetic drive pumps, solids handling pumps and chemical pumps. Septic tank prices in Bellevue Hill vary depending on the size of the family home, just as installations will be pricier in less forgiving landscapes which require more planning and excavation. Wastewater management may also include the treatment of grey water - wastewater collected from washing machines, dishwashers and kitchen sinks. A large concrete or steel septic tank can hold up to 1,000 gallons of water. Wastewater comes down into the tank on one side from your Bellevue Hill, New South Wales home’s sewage pipes and leaves the tank on the other side. Gases go up through a vent pipe through the roof of the house. Wastewater flows out of the septic tank and into a drain field made of perforated pipes, deeply buried and covered in gravel-filled trenches. Installing a septic tank system is best left to a licensed advanced wastewater treatment system installer, who can anticipate what size drain field your Bellevue Hill, New South Wales system will need. Whether you’re working on a new build or a renovation, make sure your septic expert and installer openly communicates with your builder or plumber. Here are some related professionals and vendors to complement the work of septic tanks & sewage systems: Building Project Managers, Plumbers. Find septic tank and sewage system professionals on Houzz. Narrow your search in the Professionals section of the website to Bellevue Hill, New South Wales residential septic tank and sewage system experts and installers. Read through professional profiles for information on licensing, qualifications and experience. If you are building a Bellevue Hill, New South Wales home that isn’t near a sewer system hookup, you’ll want to hire an excavation company that specialises in septic system design and installation.